This room is family room accommodate for up to 4 people. The cost include Korean style breakfast. 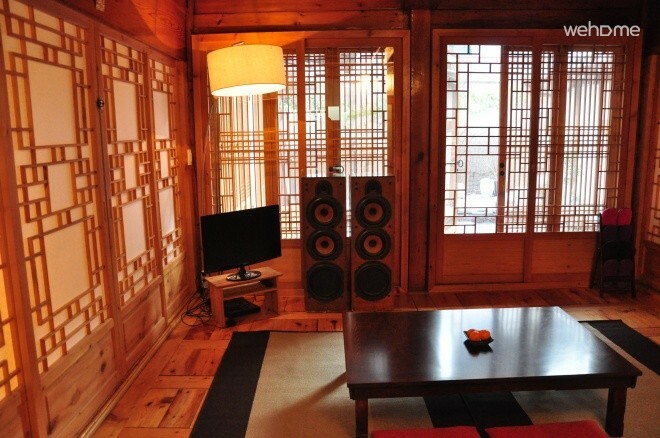 Hueahn Guesthouse is one of the famous korean traditional houses in Bukchon , Seoul. 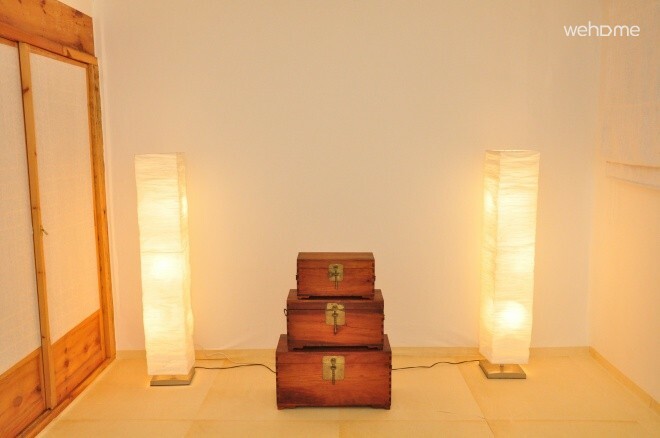 You can feel beauty of Korean culture in a central pillar made of old wood from Mt. 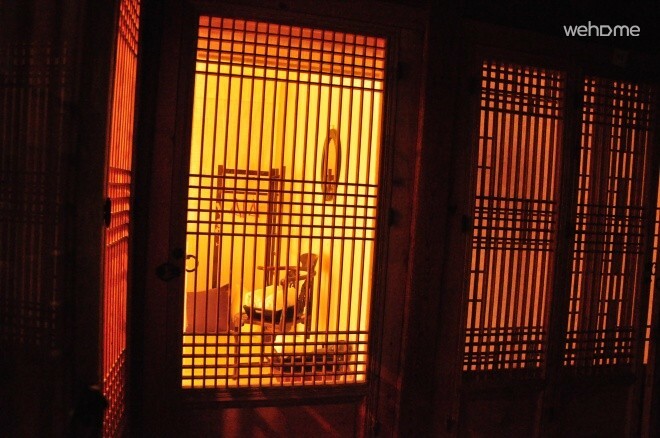 Baekdu, doors decorated with mother-of–pearl, and various lacquer decors. While your stay, we provide you with a special opportunity to experience Korean Urushi(vanishing with traditional lacquer )and hand craft with mother-of-pearl. 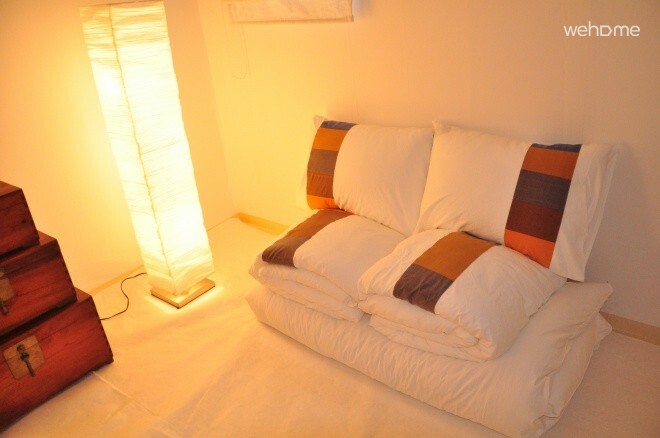 We also provide comfort bedding made of natural material. 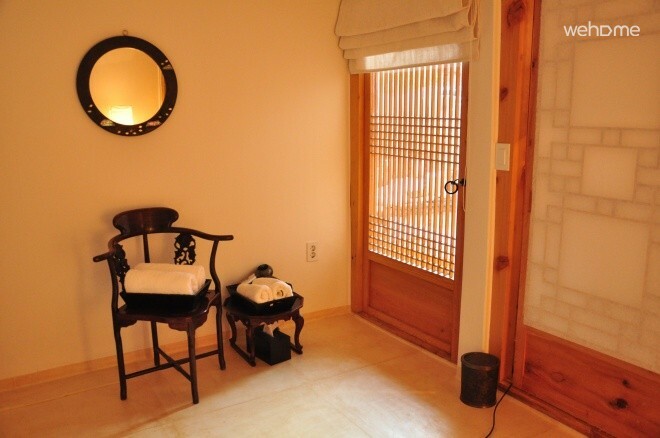 Rooms are designed in Korean traditional Ondol-style. Provide eco-friendly cotton bedding with natural texture and our own design. Air-conditioner, hair dryer, high quality bath towels(supima cotton) will be prepared for each room.We have 2 shared bathrooms indoor and outdoor,both equipped with heated floors and clean facilites. Nearby Anguk subway station (Line #3), exactly center of Seoul. 새봄이 다가오는 시기에 지인 3가족 부부가 북촌마을을 찾았다. 주민센터 뒤 연잎밥집에서 저녁을 먹고 코자자를 통해 예약한 게스트하우스를 향했다. 준비해간 와인을 놓고 포근하게 감싸는 한옥방에서 도란도란 얘기를 나누며 즐거운 대화를 하였고 아침에 차려준 정성어린 조식으로 식사를 마친후 성곽여행길에 올랐다. 기회가 되면 다시 찾고 싶다. 뜻밖의 현악사중주 공연은 좋은 인상을 주기에 충분했습니다. 하지만, 청결도(특히 욕실, 고장난 세면대 팝업, 내려가지 않는 막힌 하수구, 사라진 변기 부속...)는 좀처럼 좋은 점수 주기가 힘드네요. 그래도 경험이다하고 지냈지만, 다음날 아침 사라져서 나타나지 않는 주인장... 결국 아침은 숙박객들이 전부다 스스로 해결했습니다. 퇴실에서 만난 주인장.... 약속을 지키지 못한 아침식사에 대하여 일언반구의 사과말도 없습니다. 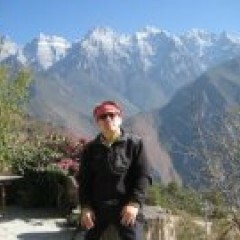 호갱님 된 느낌입니다. 빵점 주고 싶지만, 현악사중주를 관람한 것을 생각해서 별2개 드립니다. 숙소 본연의 모습에 충실했으면 합니다. 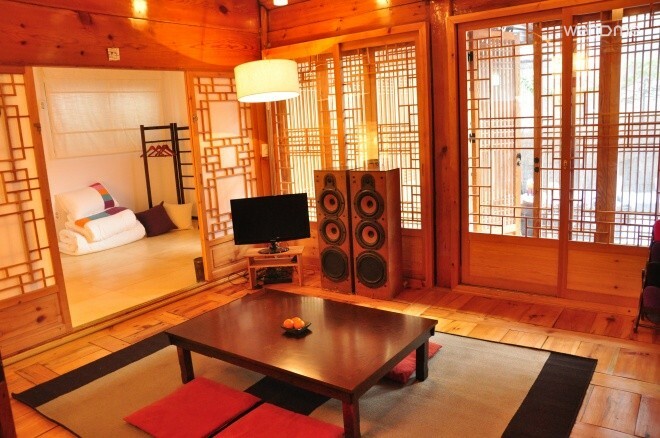 A really valuable place to stay in Korea!! If you wanna get to know about their culture, do not stay at an international hotel chain, but stay at Hanok like this :) Also the owner is extremely friendly and helpful!! The Host is very firendly and hospitable. Had a super experience at this place :) Walking distance from the mail transportation, restaurants, shops and other tourist destinations like Insadong, Samchungdong and Korean palaces (Changdeokgung, Kyungbokgung). It was a bit hard to find the Hanok, though the Host was kind enough to guide us to the location. As same as other places in Bukchon Hanok village Hueahn was also very quiet and peaceful in the night. It was awesome and cozy traditional place in seoul. Room and facilities were so clean and well displayed and worked (perfect wifi) and kind host who love music put on soft jazz on stereo. It located in very traditional area near Anguk station (5mins) And there are many goody places and cute art shops just near. Thanks for letting us finding nice place and meeting great people. We had a great time at Hueahn hanok. He and his friends are very nice. They were so kind to organize check-in service and reservations for shows and Seoul tour. Thank you very much! Besides, the Korean breakfast was delicious the hanok is in a very good location, the internet works perfectly....I can only recommend this place!